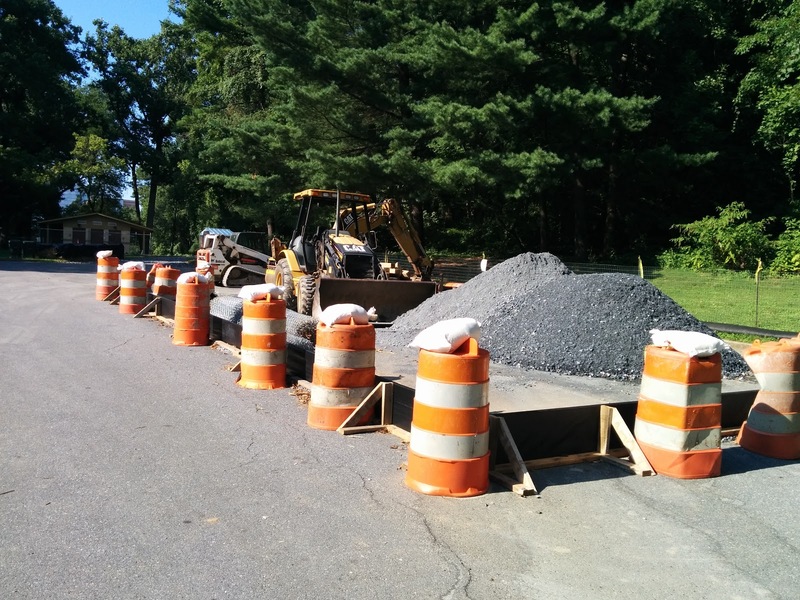 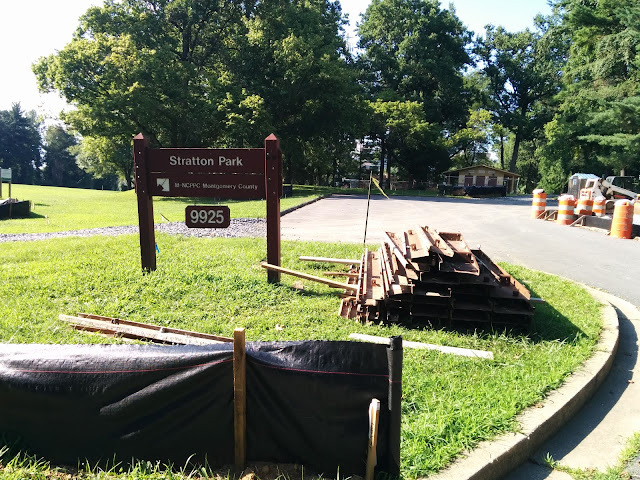 Stratton Park, in Bethesda, MD is closed for upgrades. 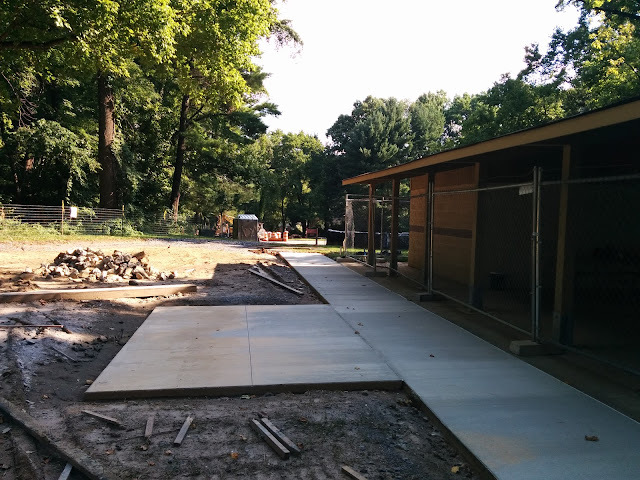 The park is being made ADA compliant. 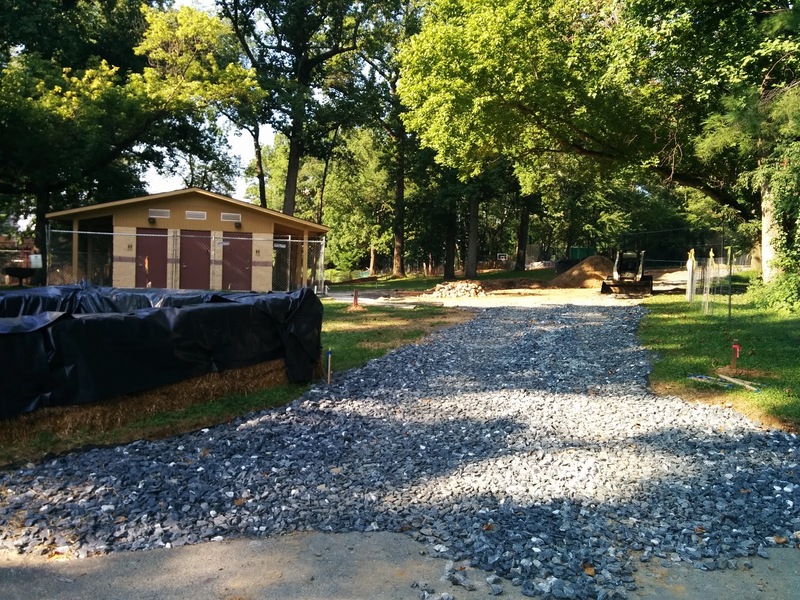 The changes include a pave path to the baseball field, replacing the path to the playground, and a paved path that goes by the tennis courts and basketball courts, then continues on to Democracy Blvd. They are also replacing the grill with two grills, one of which is ADA complaint. 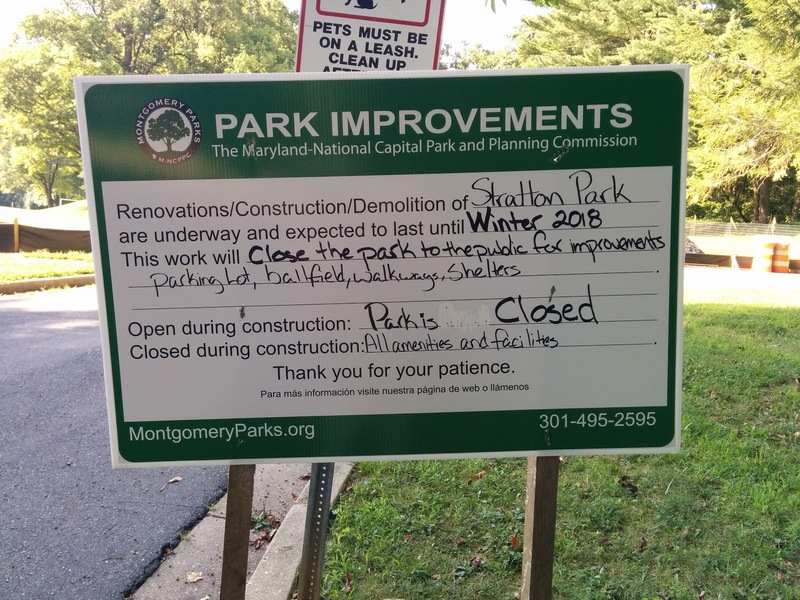 I previously covered the planned upgrades. The whole park is currently closed and the pavilion, playground, basketball courts, and tennis courts have a fence around them. The park will remain closed until winter (no word on if it is the beginning or end of winter). The equipment and piles of gravel are stored in the parking lot. The path up to the pavilion and tennis courts is being re-done. The new grills will be located in this area. 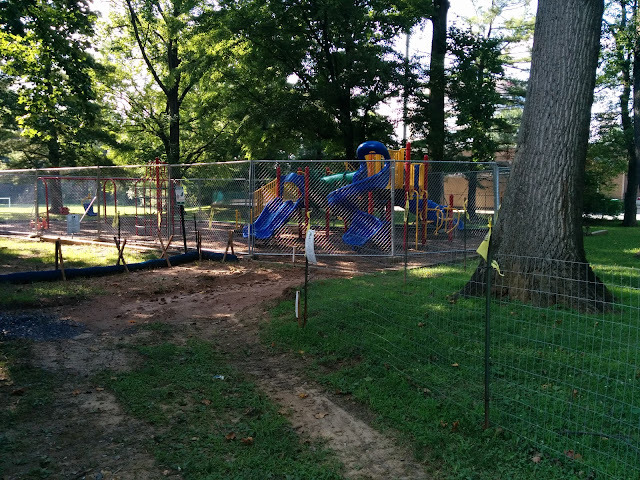 The playground area is fenced off. 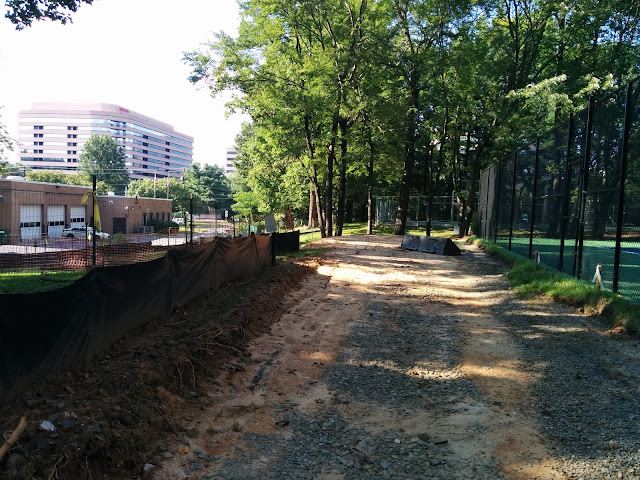 This is where the new path that goes by the tennis courts and out to Democracy Boulevard will be.